MN Pet Lemon Law - Your Pet Consumer Rights! "Must Read if you are buying a Poodle from Tes Ingebritson (TI)!" Please have a dictionary at hand. Pet Consumer Rights law in buying Standard Poodles from TI, here in MN, as well as any other breeder in MN, or any other state — check their state laws — for your protection. Please feel free to send any friends or "pet website owners" to this site for their awareness. I would have appreciated it. These things can be hard to find (among billions of web data). A law stands for your rights only from the state in which you live...yet I stand behind the MN Pet Lemon Law no matter where you live...some states do not have any laws for your protection. By USDA Regulations, I am a Retail Store selling directly to the public. Assure you read through the Pet Lemon Law definitions. Education Posts: 2/17/15 MN Pet Breeders Assc > speaker on Brucellosis...we will lose our entire breeding spoos as there is NOTHING that will heal it, only carry it forward...even to other states in sending a puppy out as a carrier of it. Speaker on Giardia and Coccidia deworming protocol. 2014 UC Davis University CA on canine reproduction - EXCELLENT! 7/21/12: MN Pet Breeders Assc. > USDA Supervisor spoke on the new proposed changes to the USDA and Animal Welfare Act.1/12: MN Pet Breeders Assc. seminar with AKC and vet workshops > Puppy warmth and humidity key!2010: Attended U of M canine symposium > Thin is In for healthy pets.2008: Attended a two day canine symposium at the Iowa State Animal University > Research on canine structure by Pat Hastings. SUPERB!MN Pet Law - know your Rights - enjoy your standard poodle! Questions on why a Minnesota pet is taxed within the state can be found in: MN Agricultural Production #100 Sales Tax Fact Sheet - ...MN Sales and purchases of pets are taxable...TI pays the MN sales tax out of the MN pet purchase price. Standard Poodles - USA State Pet Lemon LawsHas your state data been found below? Help me find Your States Pet Consumer Rights if not listed below or if you find any pertaining law link. Alaska ? does not appear to have a "State" wide law, yet has for specific cities. Iowa - Iowa has no pet lemon law, but improved legislation for inspecting puppy mills. Iowa has around 400 puppy mills at this time 3/15/10. My relative in Iowa is on her second poodle from Iowa and again has spent another thousand dollars on the health of this second loved pet. Washington currently 02/24/09, this state has no pet consumer rights pet lemon law. They have animal cruelty, or harm done by an animal to one's person, but no Pet Consumer Rights lemon law. Write your congressman if you believe there is a need for this in your state. 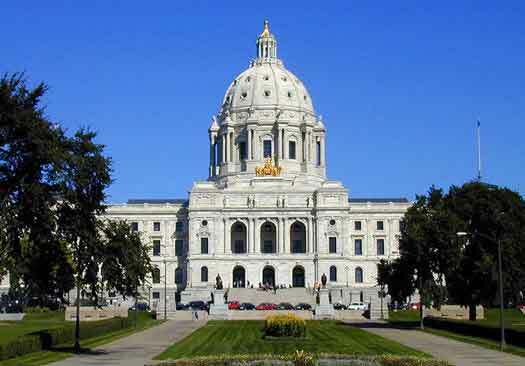 Share the MN laws as an example.